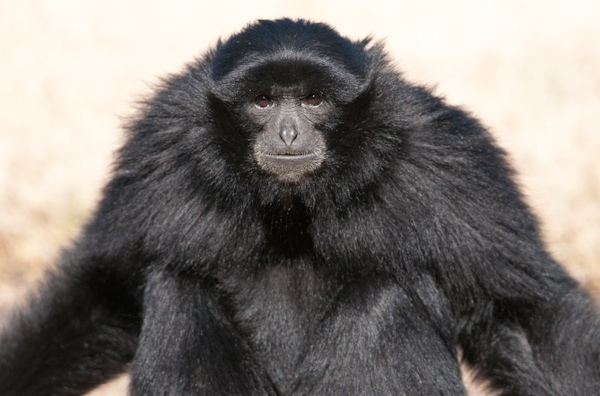 Siamangs are the largest of the Gibbon species and are classed as lesser apes. They are found in the Malay Peninsula and Sumatra where they live in the forest canopy. Their throat sacs enlarge to help amplify their call which can be heard up to 3 kilometres away. The male takes on a parenting role when the baby reaches 6-8 months of age, which is very unusual in Gibbon society.